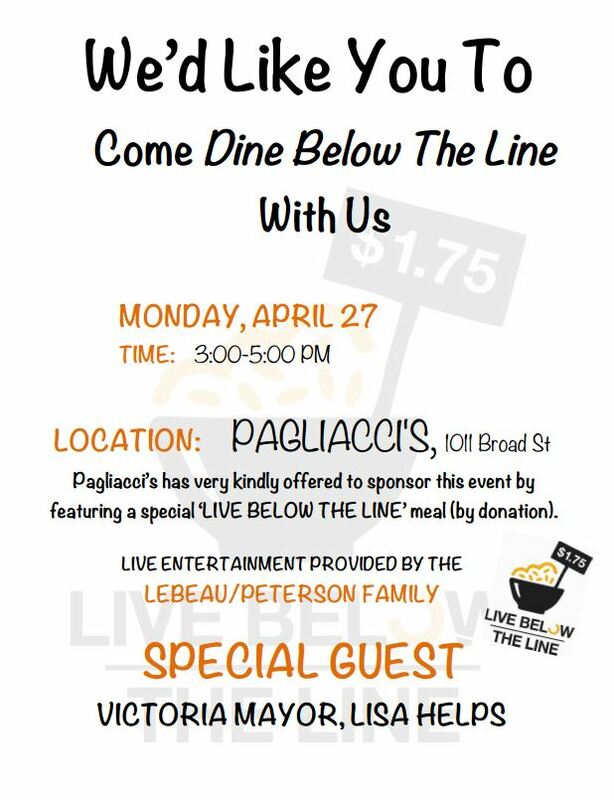 Join your community at Pagliacci’s Restaurant and Mayor Lisa Helps to support the end of extreme poverty. Music, Inspiration and Information. Support the members of RESULTS Canada, who will be living for 5 days on $1.75 per day. LIVE BELOW THE LINE is a simple but powerful campaign to raise awareness for the 1.2 billion people who live on less than $1.75 a say, every day of their lives. You will get a meal of beans and rice courtesy of Pagliacci’s, and will be asked to donate what you can afford to support help end extreme poverty in the world. © 2014-2015 RESULTS Canada. All rights reserved.